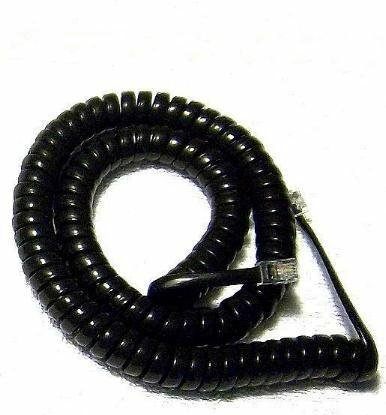 Need to replace an old twisted telephone handset cord? 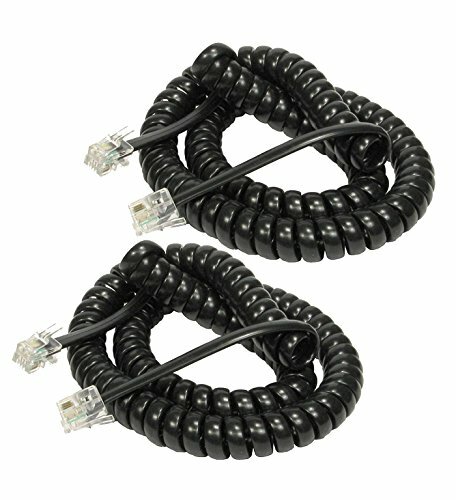 This is one of the higher quality 12 Ft Black handset cords. Quality Cords by Great Lakes Communications The length of our 12 foot cords is measured from end to end, before curling. After curling, they measure about 18 inches (Not Stretched). They are individually packaged in a factory sealed bag. 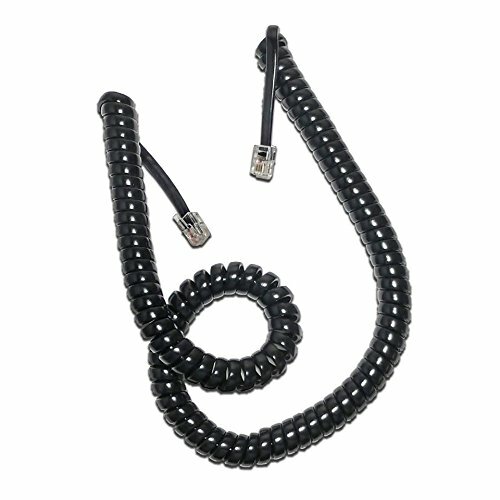 This is 3 feet Coiled Up to 25 feet Uncoiled Handset Cord. Use this to attach your devices -- mostly phones -- that feature a RJ22 (4P4C) jack. This is a coiled cable that stretches up to the length indicated above. 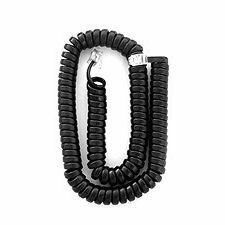 The coiled handset cord is a great replacement cable for old phone cords that have gone bad. Fits Nortel, NEC, Siemens/Rolm, Avaya, Samsung, Cisco, Unify, Panasonic, Toshiba, Ericsson, Polycom, Alcatel, Comdial, Mitel, and other manufacturer phone styles. 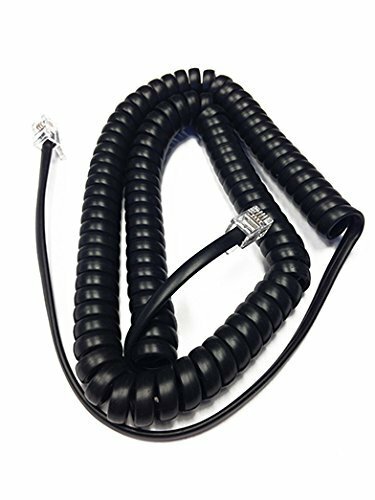 Our curly/Handset cords are manufactured with high quality, 50-micron gold connectors for maximum conductivity and corrosion resistance. They are UL approved and listed, RoHS compliant and meets FCC Part 68 requirements. The cords have a flat flame retardant PVC Jacket and stranded tinsel ribbon conductor. The colors are matched to original specifications and each cord is individually packaged and securely bagged to avoid catching. The curly/handset cords are certified and tested Lead Free, Mercury Free, Cadmium Free, Hexavalent Chromium Free, PBB Free and PBDE Free! The length of our cords is measured from end to end, before curling. The 12-foot cord is about 18 inches in length after curling (not stretched). 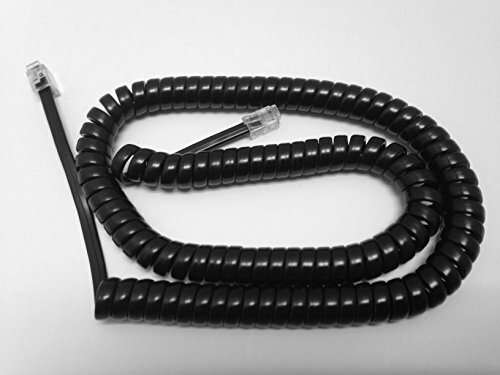 Brand New The VoIP Lounge replacement 12 foot black handset cord for Merlin business telephones, including AT&T / Lucent / Avaya Merlin 5-Button, 10-Button, 22-Button & 34-Button Phones, Merlin Legend series phones, and Merlin Magix series phones. Cord length is 12 feet fully stretched and approximately 22 inches coiled. iVooMi i1 unboxing, first impression - should you buy this 18:9 smartphone for Rs. 5,999?